1) Stock up on tea/coffee, chocolate, waters and champagne. 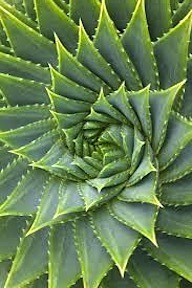 2) Surround your desk with spider plants, ferns and aloe vera for extra oxygen to fuel your brain. 3) Have an excellent dictionary on hand. 4) Line up some good music or sound loops of oceans or rainforests. 5) Make an outline grid for plot, characters, places. 9) Steal from the best. 10) START! The dazzling opening can only come after you've finished the book, so just start already. 11) Write a rough draft: one sentence per chapter. 12) Write at different times of day/night to see which suits you. 13) Walk/do chores while thinking & never call it "procrastinating". 14) Don’t throw in vast swaths of Googled text - zzzzzzzzz. 16) Keep a notebook, it’s easier than backs of envelopes. 17) Ruthlessly kill your misplaced darlings. 18) Stand, stretch or walk for two minutes every hour. 19) Don't get crumbs in your keyboard.